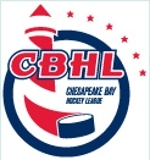 NoVA 14U Red entered the 2019 CCHL Tier II Joe Loschiavo Memorial Cup tournament as the seventh seed following a regular season that ended with 3 ties and several one goal losses. After some challenging round robin games, NoVA Red made the knockout round of the tournament and defeated Victory Blue 1-0 to set up a rematch against a very tough Navy team in the finals. NoVA Red lost in the final 4-3 with a spirited effort from the first to last whistle. Standouts included goalie Xavier Norris who backstopped all 5 games in 2 days; solid blue line play from Luke Weidenkopf, Turner Joy, Tyler Miles, Dylan Paradise and Will Sharp; and offensive production from Ian Martin, Stevie McCormack, Socrates Spanos, Liam Murphy, and Colin Regan.